The upcoming release of Forefront Endpoint Protection 2010 (the next generation of Forefront Client Security) is built on Microsoft System Center Configuration Manager to deliver high levels of protection and productivity. 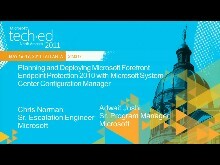 Join this session to get a technical overview and see live demonstrations of the new enhancements in Forefront Endpoint Protection 2010. 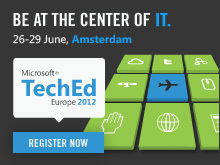 Learn about the advanced threat detection and malware protection technologies included in FEP 2010, how it builds on System Center Configuration Manager for deployment, configuration, updating and reporting, and how customers can use these technologies to reduce complexity and lower infrastructure costs.